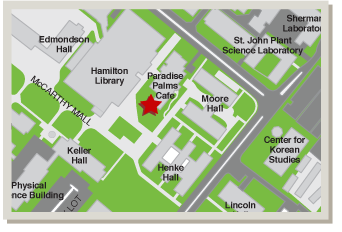 Honolulu Gourmet Foods is now open Monday to Friday, 7am to 4pm at the University of Hawaii at Manoa. Healthy, locally grown salads, sandwiches, poke bowls, and grab-and-go items at affordable prices. We also blend and serve our own frozen yogurt paired with local fresh fruit toppings and items from our dry topping bar. Grab-and-go, breakfast items, or catering for any sized group are also available.